Happy Sunday! How are you guys doing? I've had a super productive week, AND I was able to see one of my all-time favorite bands perform in Orlando. 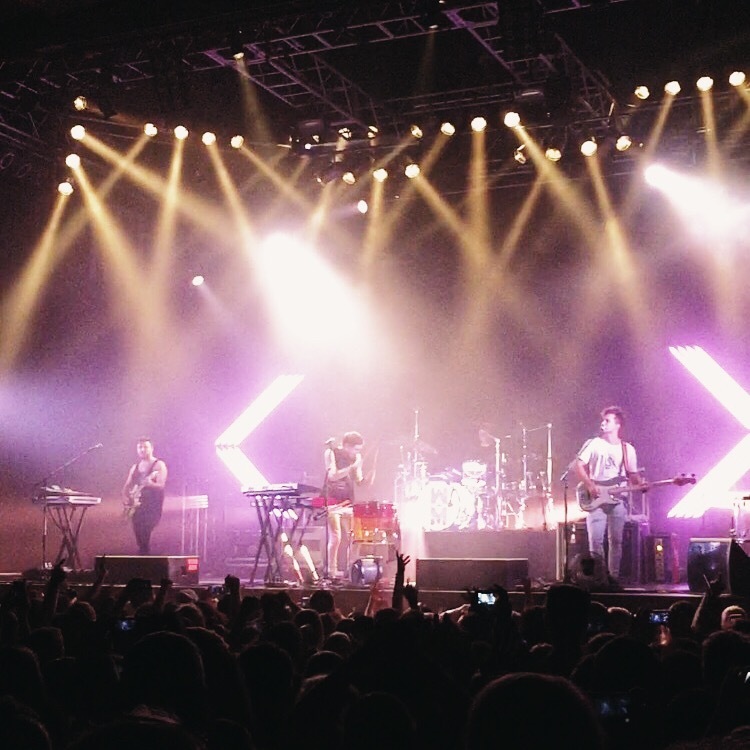 I had the pleasure of seeing Walk the Moon live for the second time, and their show never disappoints. Seriously, it's just one big dance party. They are mostly known for their smash hit "Shut Up And Dance", but honestly, that's not even close to being their best song! Have you heard of Prtty Peaushun? Gwyneth Paltrow swears by it, and this review has me reeeeally wanting to try it! Nice is the new cool, and I'm suuuper into it. Lola compiles a rad list of non-toxic scrubs that I want to try. Back to Walk the Moon... The best thing about going to concerts is that electric feeling that shoots around the room. It's totally infectious! And then I can't stop listening to the act I saw for weeks on end. Here's a great dance jam from Walk the Moon. Enjoy!